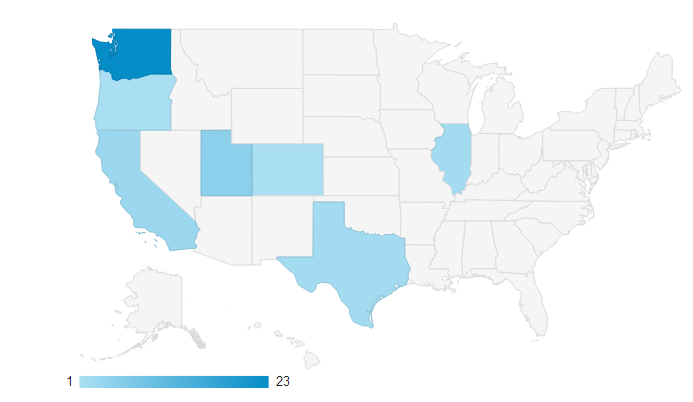 We looked at Google Analytics and he started guessing who was looking at his site from each of the states. Utah is probably his cousins. California is probably his aunt. But, who is looking at his site from Texas, Colorado, and Illinois? The most common feedback he received was about the jokes. He is busy working on the next issue and putting extra effort into the jokes. He is thinking this might be a bi-weekly (every two weeks) newsletter. So, hopefully, the next issue will be out sometime at the end of next week. Next Should we “allow” our children to curse in front of us? Hey Don, I’m impressed with what Caleb is doing. I’m having my kids download and use his Newsletter. Anything to keep them busy during these long summer days. I saw your original post a few days ago about boring google analytics, so I hit it up from a couple different servers and VPN’s that I use. Chicago and Texas are probably me, and some in WA and UT as well. Tell him to keep up the good work. Maybe this will inspire my kids creativity beyond glitter covered construction paper and sidewalk chalk.